Growing up in Denver, Colorado, Burke Griggs saw legal fights in the 1980s and 1990s over whether water in rural areas could be piped across mountain divides and provided to Denver’s growing suburbs. “I saw how fundamental water litigation would be to some of the things I care deeply about: the rural west, public lands, and water quality,” he said. After earning a bachelor of arts at Stanford University and a doctor of philosophy from Yale University, and teaching history at Boston College, Griggs diverted his course and earned a law degree. He’s now an associate professor at Washburn University School of Law. Griggs moved to Lawrence, Kansas, his wife’s hometown, where he earned a law degree from the University of Kansas. He then practiced law in the private and public sector, notably serving as a Kansas assistant attorney general and the state’s leading water lawyer when Kansas v. Nebraska went before the U.S. Supreme Court in 2014. Griggs came to Washburn in 2016 as a visiting associate professor, and the faculty quickly promoted him to associate professor. He teaches property, water law, oil and gas law, public lands law, and agricultural law. His involved teaching style includes field trips and even bringing ducks into the classroom to physically show how people put water to beneficial use. He likes arguments in his classroom and doesn’t mind if students come out still disagreeing. He and his students are currently discussing a property case involving expanding the scope of an easement. 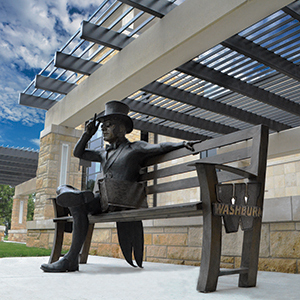 Washburn Law has been expanding and evolving its curriculum to address the unique needs facing rural Kansas and surrounding states. “There’s a lot of demand for legal services in rural areas,” he said. “That’s an area many schools are walking away from, and we’re walking toward it. We see that as a growth area. 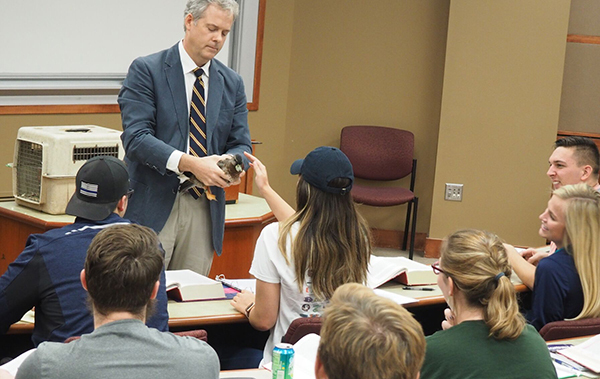 Griggs’s scholarship emphasizes the connections between history, law, and natural resources. He hopes his students will appreciate those connections too.